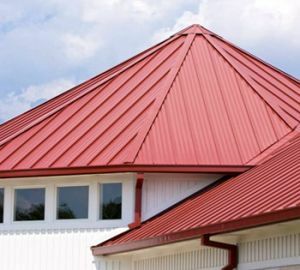 With long-term performance and a variety of color and textural options, metal roofing systems are becoming increasingly popular. Metal Roofing Systems are becoming increasingly popular as roof covering. They offer both long-term performance and provide a variety of "colorful and textural" options. Southwest Building Resource represents Firestone Metal Products which have metal roofing systems that will meet your needs. Steep slope roofs are generally defined as having a slope greater than 3″ rise in 12″ of horizontal distance. The slope increases the difficulty of application; detailing, maintaining watertight integrity, and aesthetics are often a key component. Firestone Metal Products offers a wide variety of metals, profiles, and colors to meet all of these challenges. In addition, many of our systems are eligible for a Red Shield warranty ranging from 5 to 25 years. Firestone Metal Products architectural systems are designed to act as cladding systems and require a substrate. Firestone offers a wide selection of profiles, metal types, colors and on center dimensions to meet your design criteria. Some profiles may be radiused for jobs requiring that special look. Our UC-3, UC-4, UC-6, UC-7 and UC-14 are eligible to receive the Firestone Red Shield total system warranty when installed in accordance to specifications and details. UNA-CLAD structural systems can be mounted directly on purlins. The UC-6 panel is eligible for the Red Shield warranty. Firestone Metal Products Company will provide engineering assistance to help determine structural loading.